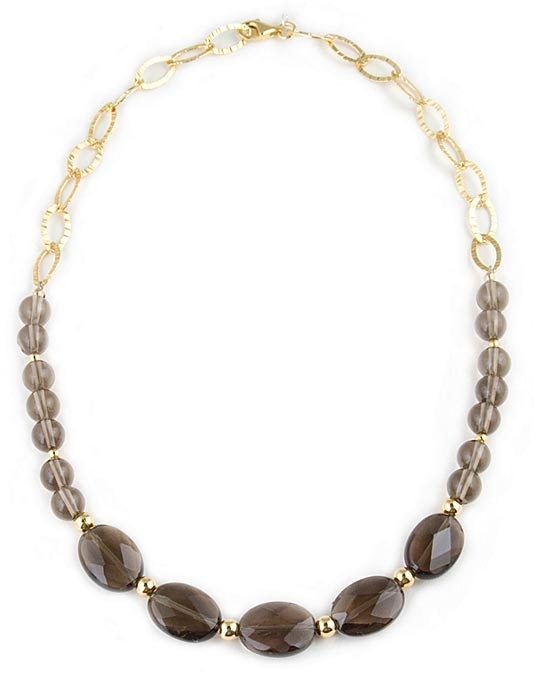 Smoky quartz gemstone necklace by Angelo De Soto. This elegant necklace features five 18x13 mm faceted Smoky quartz gemstones, 8mm Smoky quartz beads and 18k gold vermeil balls and hand-hammered chain (18 karat gold over sterling silver). Necklace measures 47.5 cm (18.6") in total length and fastens with a lobster clasp.